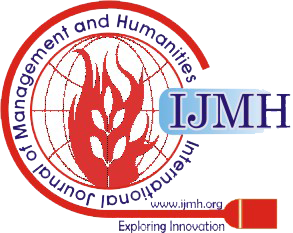 International Journal of Management and Humanities (IJMH) is having ISSN 2394-0913 (online), monthly international journal, being published in the months of January, February, March, April, May, June, July, August, September, October, November, December by Blue Eyes Intelligence Engineering & Sciences Publication (BEIESP) Bhopal (M.P. ), India since year 2014. It is academic, online, open access (abstract), peer reviewed international journal. It aims to publish original, theoretical and practical advances in Management, Humanities, Physics, Chemistry, Mathematics, Zoology, Botany and English Literature. All submitted papers will be reviewed by the board of committee of IJMH. The aim of the journal is to disseminate original, scientific, theoretical or applied research in the field of Engineering and allied fields, to dispense a platform for publishing results and research with a strong empirical component, to aqueduct the significant gap between research and practice by promoting the publication of original, novel, industry-relevant research, to seek original and unpublished research papers based on theoretical or experimental works for the publication globally, to publish original, theoretical and practical advances in Management, Humanities, Physics, Chemistry, Mathematics, Zoology, Botany and English Literature, to impart a platform for publishing results and research with a strong empirical component, to create a bridge for significant gap between research and practice by promoting the publication of original, novel, industry-relevant research, to solicit original and unpublished research papers, based on theoretical or experimental works. Professors, Engineering experts, and scientists are invited to join the International Journal of Innovative Science and Modern Engineering (IJISME) as the members of Chief Advisory Board/ Chief Technical Advisory Board/ Editorial Board. Interested people can send us curriculum vitae (CV) along with Membership Form at director@blueeyesintelligence.org. The Membership of IJEAT is 100% free. There are no any hidden charges.